Intradermal and intraperitoneal injection of S. dysgalactiae resulted in moderate mortality. 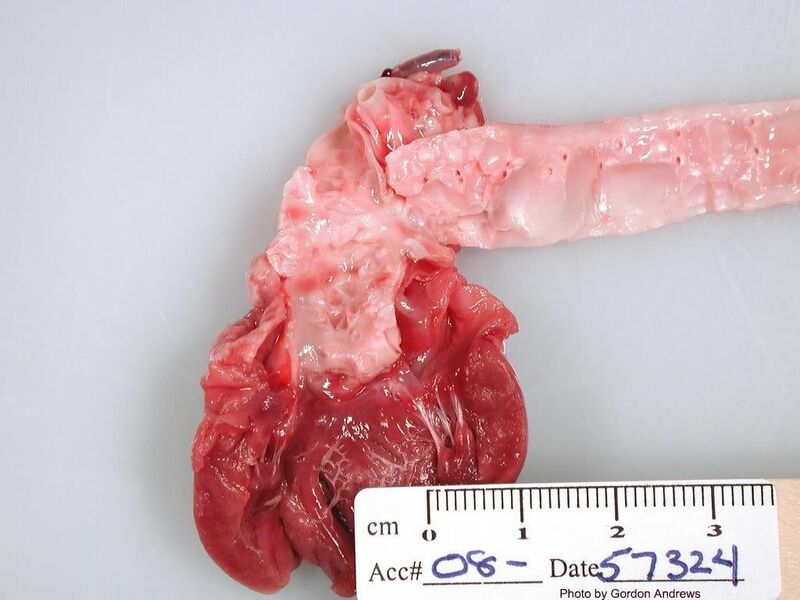 Grossly, there was microabscessation and/or granulomatous inflammation of the heart, caudal peduncle, pectoral and/or dorsal fin and olfactory region. The lesions in the atrial myocardium and arterial cone consisted of severe arterial thrombosis, granulomatous valvular endocarditis and epicarditis. Detection of botulinum type E toxin in channel catfish with visceral toxicosis syndrome using catfish bioassay and endopep mass spectrometry. J Vet Diagn Invest 19:349–354 (2007). Visceral toxicosis of catfish (VTC) was first recognized in the spring of 1999 in the Mississippi Delta in channel catfish (Ictalurus punctatus).24 This syndrome is characterized by the sudden death of otherwise healthy market-sized fish when pond water temperatures are approximately 18 to 22uC. Because diagnostic submissions were negative for bacterial, parasitic, fungal, and viral pathogens, the etiology of this disease was considered to be a toxin. southern part of the Korean peninsula. 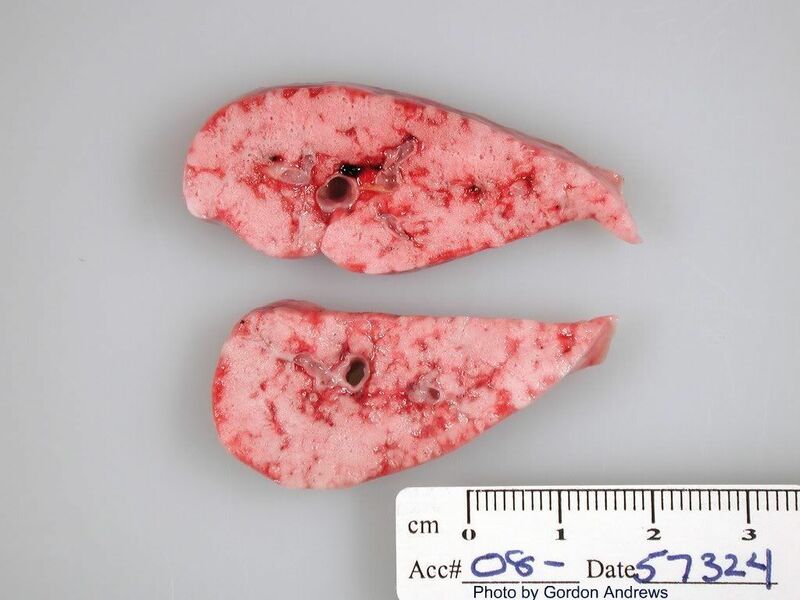 Two Independent Cases of Spontaneously Occurring Branchioblastomas in Koi Carp (Cyprinus carpio). well-demarcated, pale red nodular masses located at the left first branchial arch and the right pseudobranch, respectively. 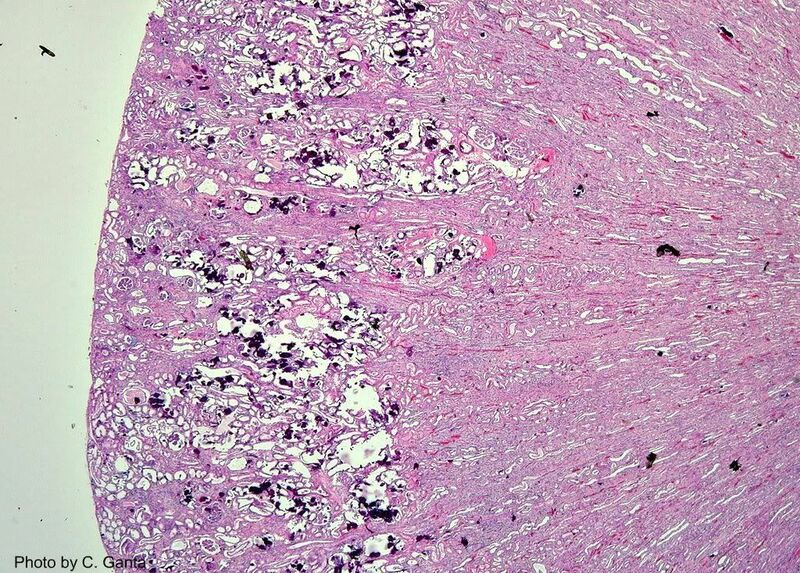 Histologically, the neoplasias were composed of blast-like cells that differentiated into cartilage and branchial lamellae embedded in abundant fibrous connective tissue. Based on these findings, a branchioblastoma was diagnosed. Ultrastructural Examination of the Host Cellular Response in the Gills of Atlantic Salmon, Salmo salar, with Amoebic Gill Disease. Vet Pathol 44:663–671 (2007). Amoebae were found either on the surface epithelium or with pseudopodia extending deeply into invaginations of epithelial cells. The amoebae had various densities along the plasma membrane and contained electron-dense deposits within their cytoplasm. Surface epithelial cells sloughed from the gills and had features consistent with apoptosis. Affected areas of gills had fusion of secondary lamellae with interlamellar spaces occupied by mitotic epithelial cells andeosinophils. Eosinophils contained abundant fusiform-shaped granules that measured approximately 1 mm long and 360 nm wide. The granule consisted of an electron-dense matrix with a central inclusion that was less electron-dense, consisting of particulate and fibrillar material. Severe Scuticociliate (Philasterides dicentrarchi) Infection in a Population of Sea Dragons (Phycodurus eques and Phyllopteryx taeniolatus). Vet Pathol 45:546–550 (2008). Macroscopic lesions were confined to the skin with multiple, often hemorrhagic, ulcerations. Histologically, epidermal ulcers were associated with necrosis and inflammation of the underlying dermis and musculature. Numerous ciliates, with a morphology consistent with scuticociliates, were present in these lesions. In several animals these ciliates had invaded blood vessels and were detected in gills and internal organs including kidney, thyroid gland, and central nervous system (CNS). Systemic iridovirus infection in the Banggai cardinalfish (Pterapogon kauderni Koumans 1933). J Vet Diagn Invest 21:306–320 (2009). Virus particles were nonenveloped, hexagonal, with a central electron- dense nucleic acid core surrounded by a pale zone that, in turn, was marginated by an outer, moderately electron-dense nucleocapsid layer of uniform width. Basophilic granular cytoplasmic inclusions were identified in cytomegalic cells often found beneath Endothelium (in gills). Gross- hemorrhage on renal and ovarian tissue, necrosis of branchial microvasculature. Cytomegalic cells were also observed in the lamina propria and along the serosa of the stomach and intestine, in the mesentery, liver, cranial and caudal kidney, spleen, hypodermis, brain, capillary network of the choroid, gas gland of the swim bladder, skeletal muscle, and ovary. Characterization of Virus Distribution in Rock Bream (Oplegnathus fasciatus; Temminck and Schlegel) Infected with Megalocytivirus J. Comp. Path. 2009, Vol. 141, 63e6. Iridoviruses are large cytoplasmic DNA viruses with an icosahedral morphology. Iridoviridae family consists of five genera including Iridovirus, Chloriridovirus, Ranavirus, Lymphocystisvirus and Megalocytivirus. Iridoviral infections are one of the most prevalent viral diseases of cultured freshwater and marine fish species. Pathogenesis: The virus infects the leucocytes (mostly monocytes-no markers for differentiation) and the monocytes infiltrate various tissues. as ameloblastomas. A few intracytoplasmic hexagonal structures, possibly consistent with viral particles (,100 nm), were observed ultrastructurally in a tumor cell. – A definitive single cause of the massive mortality that affected carp in the ST. Lawrence River in 2001 was not determined. Correlation of Virus Replication in Tissues with Histologic Lesions in Atlantic Salmon Experimentally Infected with Infectious Salmon Anemia Virus:Infectious salmon anemia is a highly fatal disease of marine-farmed Atlantic salmon caused by ISA virus (family Orthomyxoviridae, genus Isavirus). Clinical disease is chr by exophthalmia, pale gills, ascites, congestion of gut, enlargement of liver and spleen, petechial hemorrhages in the visceral organs, severe anemia. Histo: hepatic necrosis, vasculitis and sinusoidal congestion—peliosis, renal interstitial congestion, tubular necrosis, congestion of branchial lamellar and filamental vessels, congestion and necrosis of the intestine, pyloric caeca, and increased erythrophagia in the spleen and kidney. Gastric cryptosporidiosis in freshwater angelfish (Pterophyllum scalare). J Vet Diagn Invest 21:722–727 (2009). swollen coelomic cavities, protozoa were identified both histologically and ultrastructurally associated with the gastric mucosa. Necropsy- swarms of ovoid-shaped, motile, ciliated protozoa with a “spiraling football” motion. Wet mount preparations of various water samples also contained high numbers of similar protozoa. 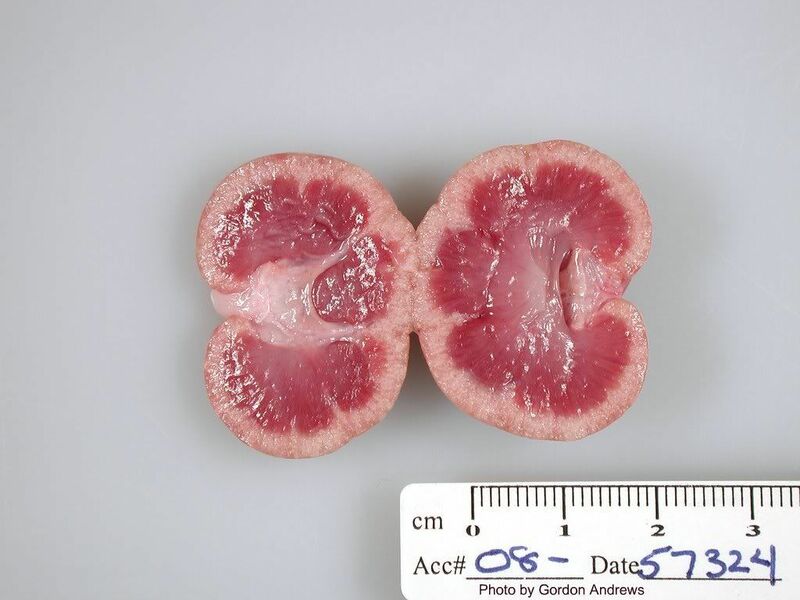 Histologic examination of affected fry revealed numerous, periodic acid-Schiff-positive forms within the body coelom, and epithelial and muscle tissues.